Malta’s largest trade fair is back! Following the resounding success of the first four editions of il-Fiera l-Kbira, MonteKristo Estate is gearing up to host a record crowd for the fourth edition of Malta’s largest fair. Over 100,000 people visited the Fiera l-Kbira again last year and, judging by the feedback received so far, it looks like the fair will attract an even larger crowd this year, especially since the fair is celebrating its’ fifth anniversary. 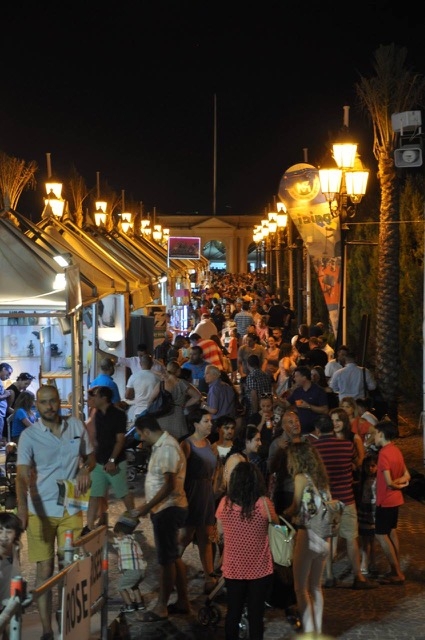 The organisers wanted to ensure that all those visiting the fair will be offered great deals by Malta’s top brands. This is exactly what this fair will be about - the widest choice of products being offered through various deals, which can only be availed of during your visit at il-Fiera l-Kbira. The fifth edition of il-Fiera l-Kbira will be held at Montekristo Estate between the 12th and 22nd July 2018. Along with the entry ticket, all those attending will be given a lottery ticket for which the main lottery prize will be the new SsangYong Tivoli | iloviT . Entry tickets can be purchased at the door for €2.50 (adults). Children under the age of 12 enter for free.